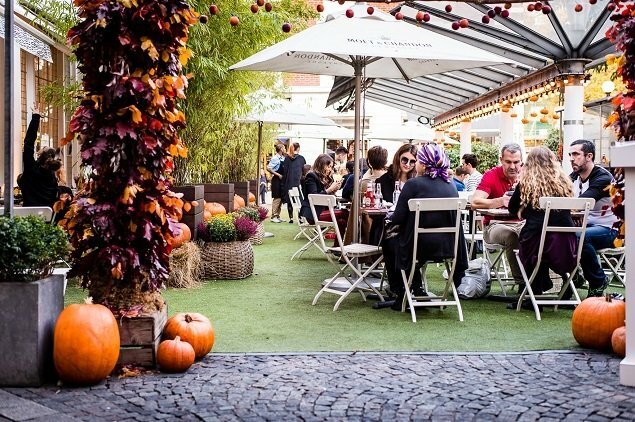 The Autumn season brings with it a wonderful array of family-inspired activities and none more fitting than the return of the Bluebird Pumpkin Patch at the fashionable Bluebird Restaurant in Chelsea. 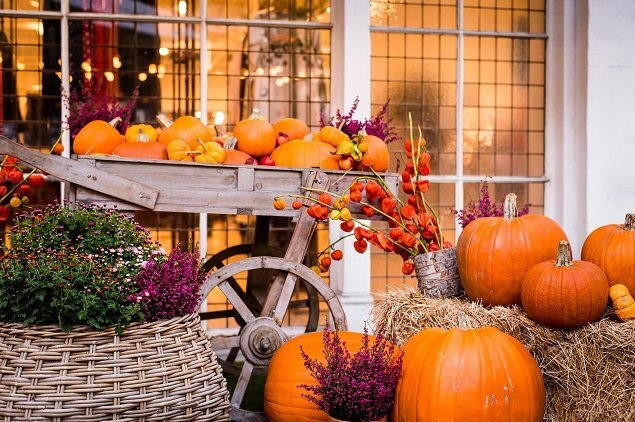 If you are planning to meet with family for lunch or a leisurely dinner, you will certainly feel immersed in all the Halloween-inspired fun! 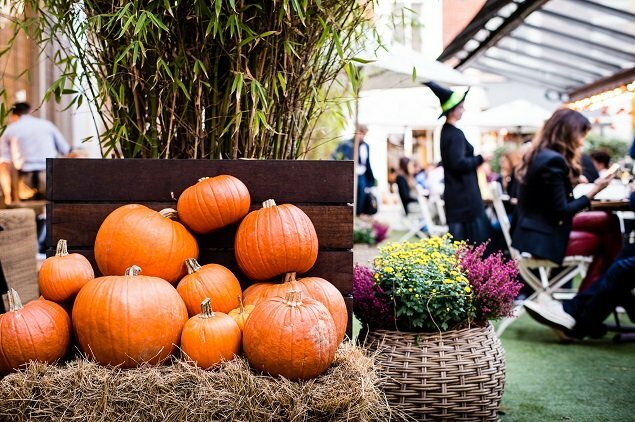 The bountiful pumpkin displays will feature in the courtyard between Monday 26th October and Sunday 1st November. Later on in the evening, when it’s just the adults, a visit to the Bar at Bluebird is a must! From Monday 26th October until Sunday 1st November they will be serving their Halloween-inspired cocktails. Give their Jekyll and Hyde cocktail a try, which is big enough for you and your friends to share! The ingredients of this spooky concoction include Jack Daniels honey liqueur, apricot brandy, apple pie syrup and muddled fresh pumpkin, to name a few. For more details on their limited edition cocktail menu, click here. 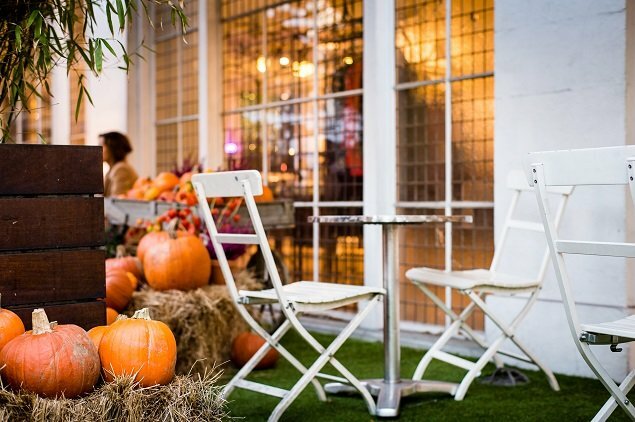 We think the Bluebird in Chelsea offers up a whole array of activities and culinary delights for all ages, so do drop by for some Halloween-inspired fun! Click here to find further details on The Bluebird Pumpkin Patch and restaurant opening hours. PREVIOUS: A Christmas Carol Not to Miss in London this Winter! 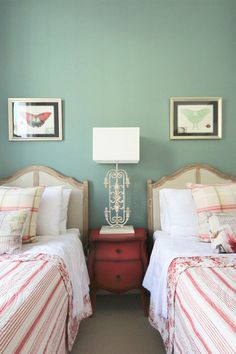 Posted on Saturday, October 24th, 2015 at 8:26 am in What's On. You can follow any responses to this entry through the RSS 2.0 feed. You can leave a response, or trackback from your own site. London News | Ice Skating at the Bluebird in Chelsea! Ice Skating at the Bluebird in Chelsea Devilish Delights for Halloween in London The Pelham – The Very Best of Chelsea at Your Fingertips!